Alexander Anatolievi ch Savelenko is a Russian artist, painter, graphic artist and the member of the Commonwealth of the Russian artists. 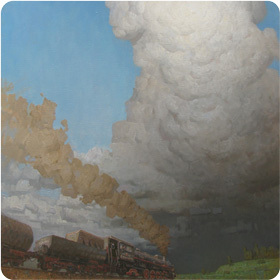 He is a participant of more than 120 Russian and foreign exhibitions, the laureate of prestigious contests and awards. He has conducted 6 personal exhibitions. Alexander is one of the establishers of the creative group “On the Earth”. The works of Alexander Savelenko are represented in the museums and private collections in Russia, Turkey, Germany, Holland, USA and China. Alexander was born on February, 6th, 1986. He lives and works in the city of Rostov-on-Don. 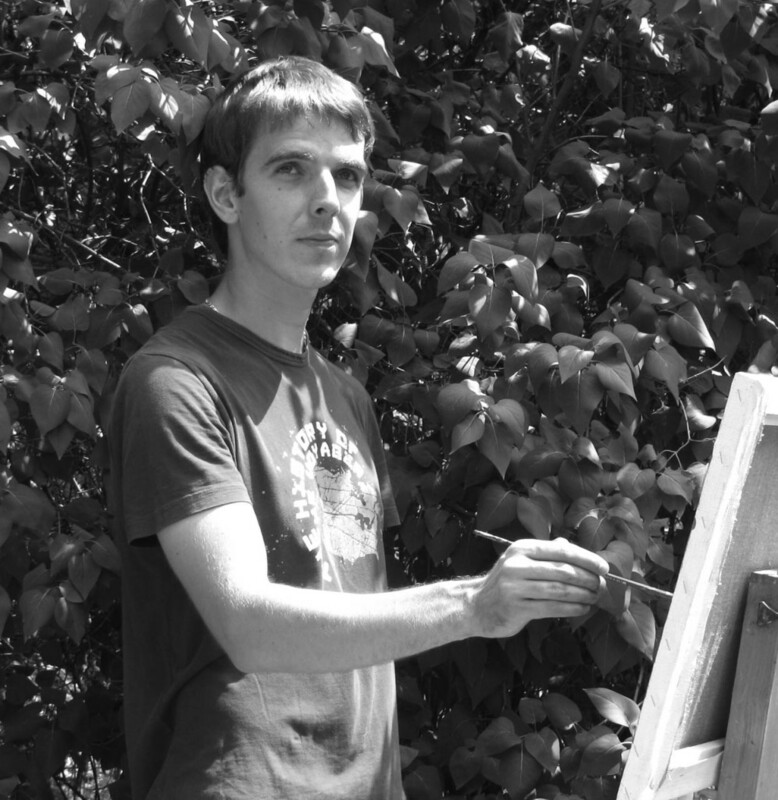 From the year of 2012 he teaches painting, graphics and composition in the Rostov Art College named after M.B.Grekov. 1996-2000 – Rostov Art School named after Chinenovs (teacher: S.V. Nesterov). 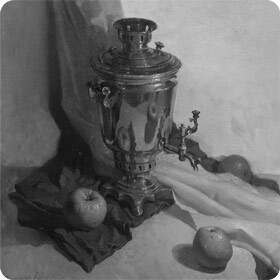 2003 – The Scholar of the Ministry of culture of Russian Federation “Young talents”. 2003 – The Laureate of the silver medal of the International competition “The Third youth Delphic games of Russia”, (the city of Volgograd). 2009 and 2013 – The Laureate of the award of the Rostov Region Governor “For the prominent contribution into the development of culture and art of the Rostov Region”. 2009 – The Laureate of the Rostov-on-Don Mayor’s Award for the first place in a city competition for “The achievements in a field of culture and art”. 2012 – The Laureate of the State grant provided by Russian Federation Ministry of culture. 2012 – The Laureate of the award (for the third place) of the All-Russian painting and art drawing competition dedicated to the 175th anniversary of Russian railroads, Marble Hall of the Russian ethnographic museum, the city of Saint Petersburg. 2015 and 2018 – Twice Winner of the State scholarship of the Government of the Russian Federation for young cultural and art workers. 2015 – Was awarded the honorary diploma of the Commonwealth of the Russian artists “for achievements in creation and assistance for the development of fine arts in Russia”. 2016 – Was awarded the Diploma of the Laureate for his artwork “Thinking about People and Things” within the frame of the All-Russian exhibition “The Youth of Russia’. The Central House of Artists , the city of Moscow. 2016 – The Laureate of the award in the contest “Da Dun Fine Arts Exhibition” for prominent achievements in nomination “painting in oil”, Taiwan, Taichung. 2008 – The participant of the Regional Art Exposition “The South of Russia X” in the city of Sochi. 2008 – Laureate of the exhibition-competition “I Ricordi” in the gallery “New Artemisia Gallery”, Bergamo, Italy. Since 2008 – multiple participant and winner of the International exhibitions and competitions Russian Art Week. Moscow (2008, 2009, 2010), St. Petersburg (2009), Kiev (2009), Vilnius (2010), Berlin (2011) . Since 2008 – Personal exhibitions of painting and graphics: “Secrets of native places” (Rostov-on-Don 2008), “Sound and silence” (Rostov-on-Don, Tikhoretsk 2010), ” Mood “(Rostov-on-Dono 2013),” New page “(Rostov-on-Don in 2016). 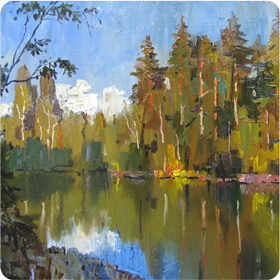 2012 – The participant of the Regional Art Exposition “The South of Russia XI”. “VertolExpo” in the city of Rostov-on-Don. 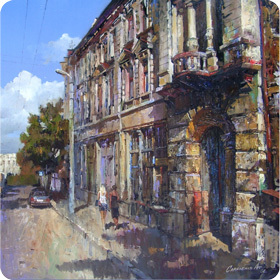 2012 – The participant of the regional exposition of young painters’ works “The South The Art The Youth” in the city of Stavropol. 2013 – Personal exhibition of paintings “The Mood” in the Exhibition Hall of the Artists’ Commonwealth in the city of Rostov-on-Don. 2013 – The participant of the XIth Interregional Art Exposition “South of Russia” in the Memorial Complex of Glory named after A.A. Kadyrov in the city of Groznyy. 2014 – The participant of the All-Russian Art Exposition “Russia XII” in the Central House of Artists in the city of Moscow. 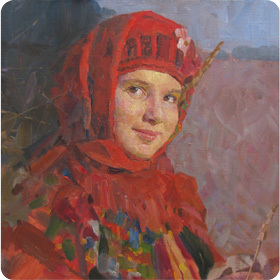 2014 – The participant of the Exposition “Young Artists of Russia” within the frame of the IVth Assembly of artists “Plastov’s Autumn” in the city of Ulyanovsk. 2015 – The participant of the exposition “Flags of War” that was timed to coincide with the 70th Anniversary of Great Victory in the Tzar Tower of Kazan Railway Station, the People Artist D.A. Belyukin’s Gallery in the city of Moscow. 2015 – The participant of the Interregional Exposition of Young Artists of South Russia “Southern Wind” in the Exhibition Hall of Artists’ Commonwealth of Republic of Northern Osetiya-Alaniya in the city of Vladikavkaz. 2016 – Personal exhibition of paintings “The New Page” in the Exhibition Hall of the Artists’ Commonwealth in the city of Rostov-on-Don. 2017 – The participant of the collective exposition “Avery. Realistic Portrait Exhibition” jointly with Ji Wen Yuan, E.M. Kurkov, V.A. Korneev, the KWM Art Center of Peking, China. 2017 – Member of the group exhibition of the association of artists “On Earth” in conjunction with O. Menzhili and D. Myasnikov. Exhibition Hall of Moscow Artists Union of Russia, Moscow. 2018 – Member of the International Art Salon CHA-2018 “Again together.” Central House of Artists, Moscow. 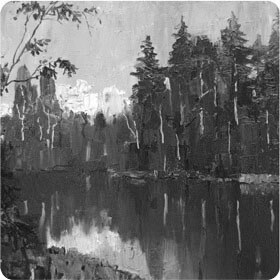 2018 – The participant of the Regional Art Exposition “The South of Russia XII”. “VertolExpo” in the city of Rostov-on-Don. 2019 – The participant of the All-Russian Art Exposition “Russia XIII” in the Central House of Artists in the city of Moscow.